Designed in conjunction with Vice World Champions; Alex Pastor and Bruna Kajiya, Dutch Champion Bas Koole, and South African Champion Oswald Smith, the Razor Team is the C-kite of choice. 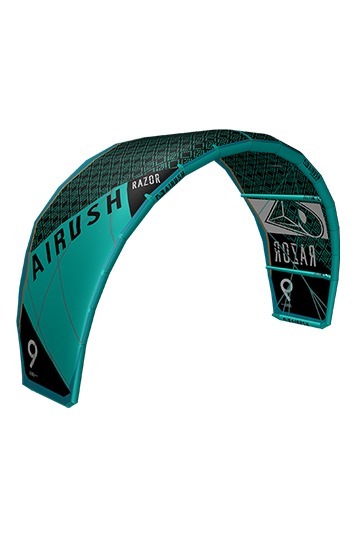 The 2014 Airush Razor Team keeps the C-kite feel and performance that wakestyle and freestyle riders demand. While maintaining these characteristics of amazing pop, unhooked ability and kite looping, the Razor Team has great range and comfort for everyday riders. Never has a kite delivered the highest level of performance within the reach of intermediate riders, while keeping pro riders on top of the podium. The proven Aramid Load Frame is combined with the new Technoforce D2 Canopy on the Team Series Kites, for the ultimate combination of durability and performance. The Razor Team works best with the Smartbar 5 in 5th line version.